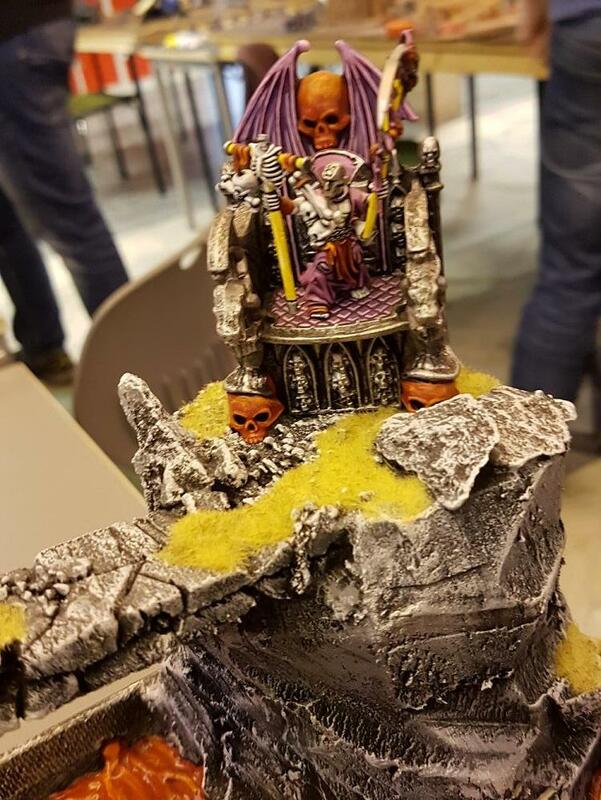 Not mine. 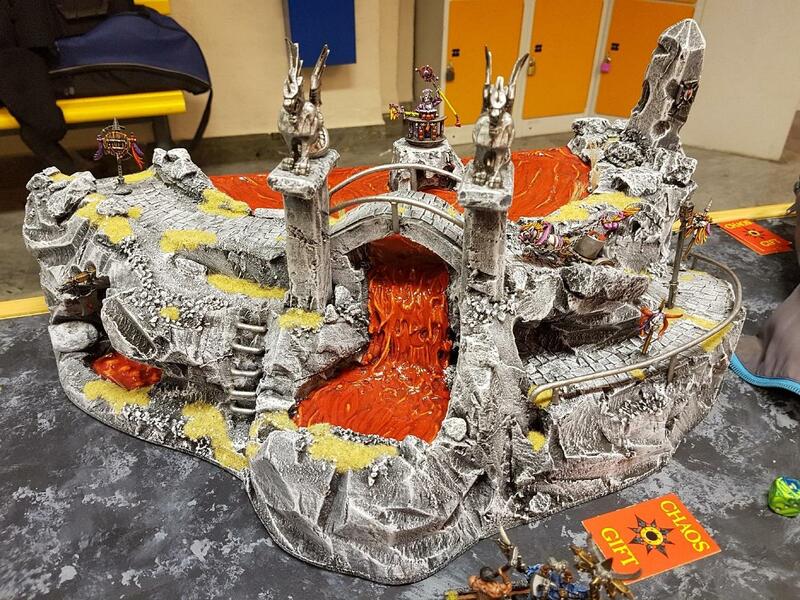 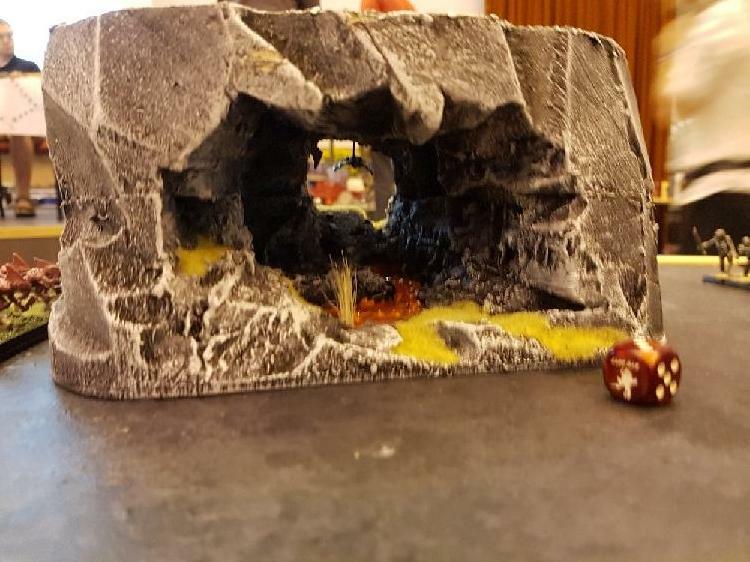 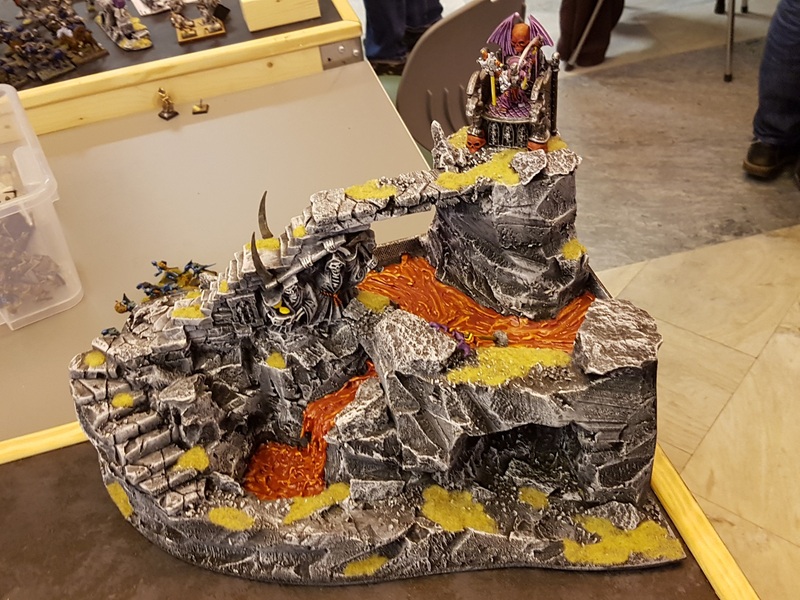 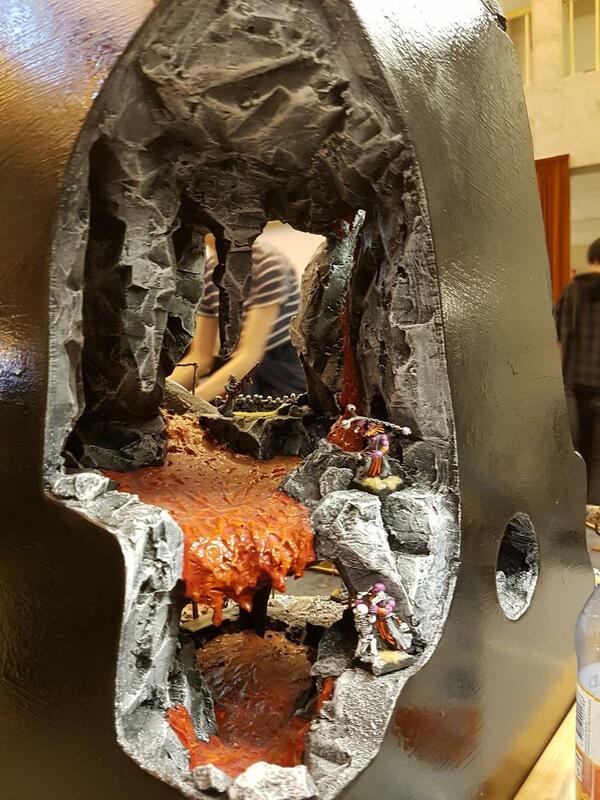 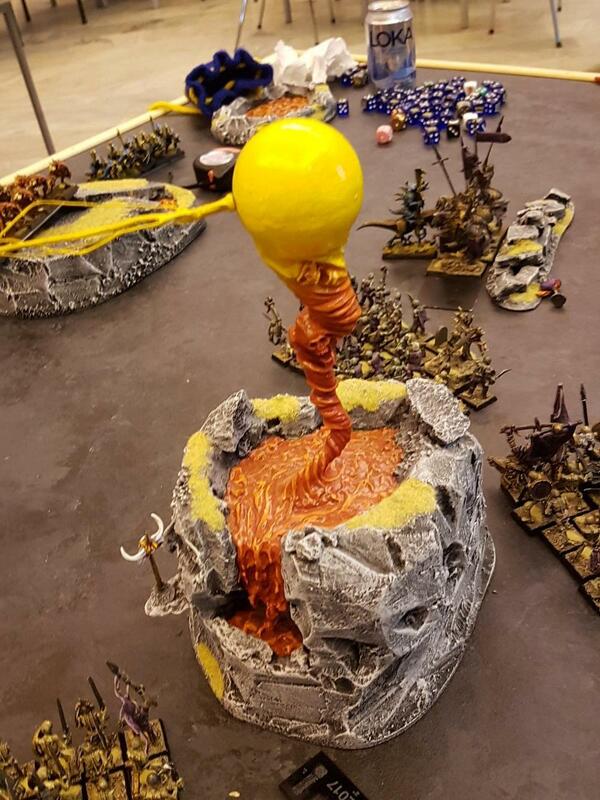 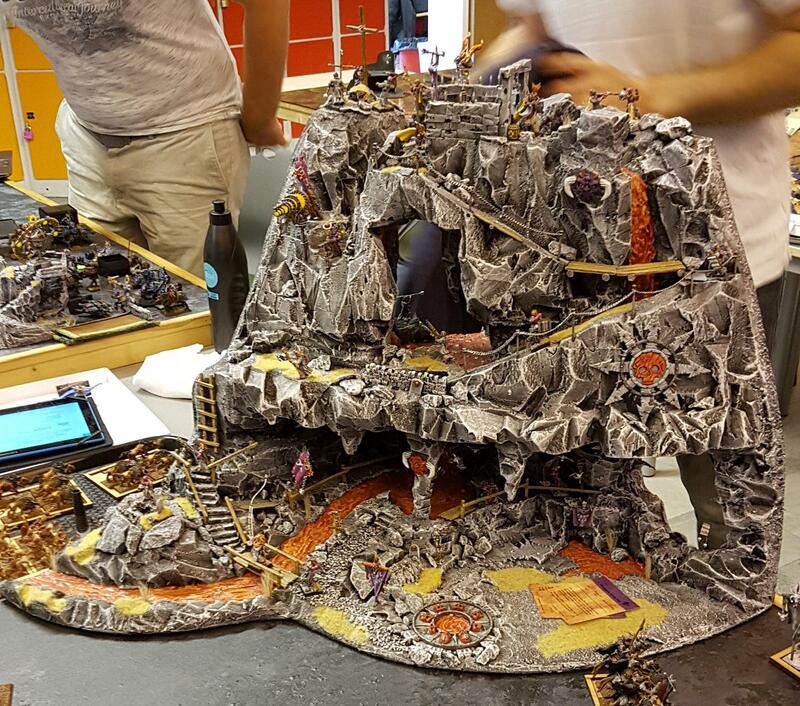 The guy who crafted this terrain have a fantastic army to match it, though I've not seen those forces around for some years. 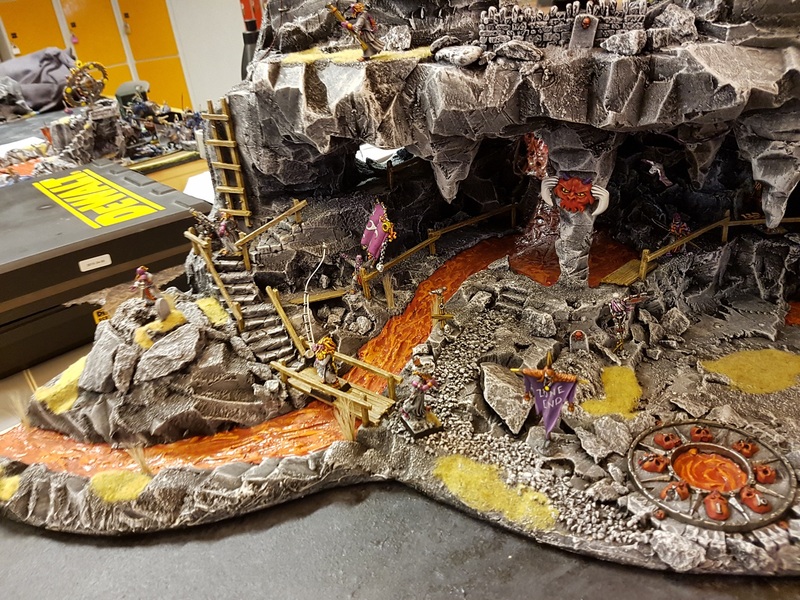 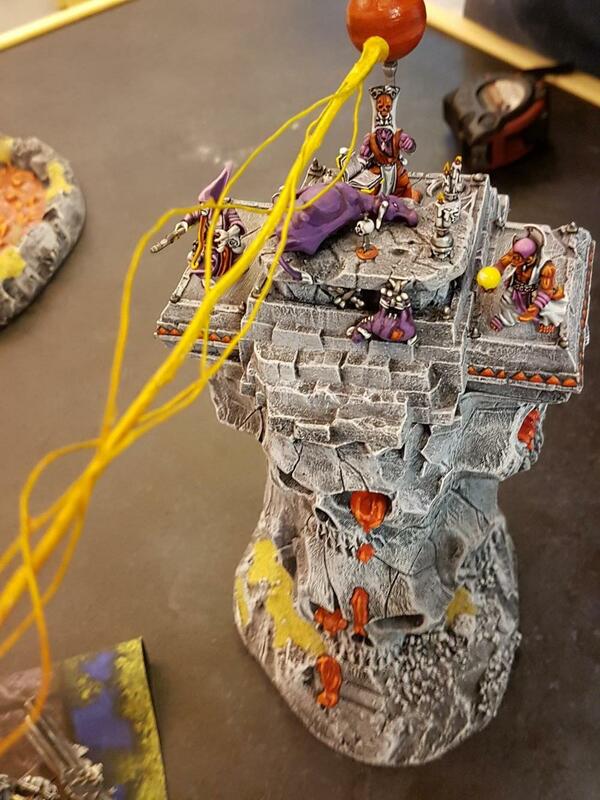 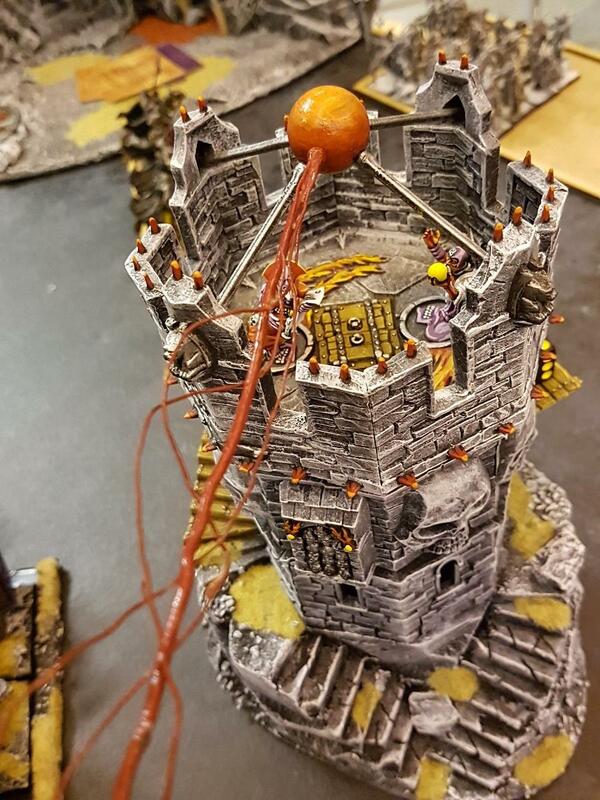 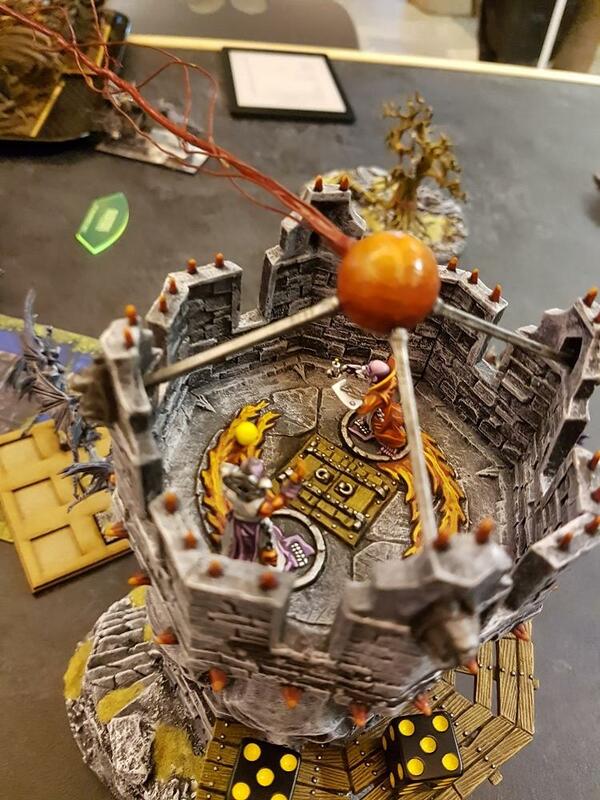 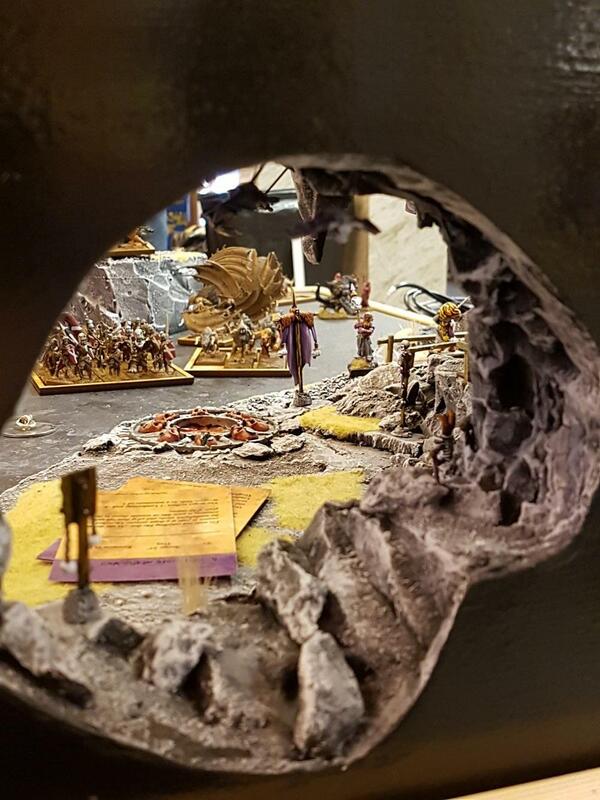 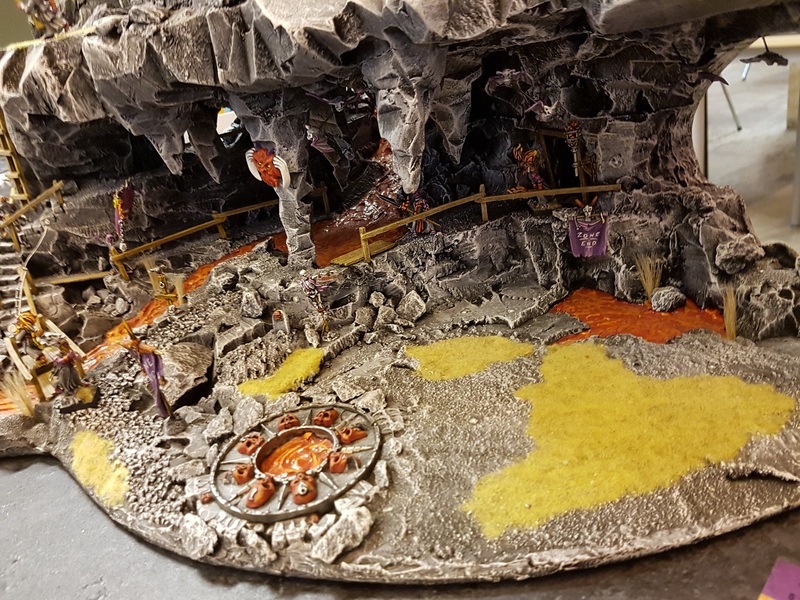 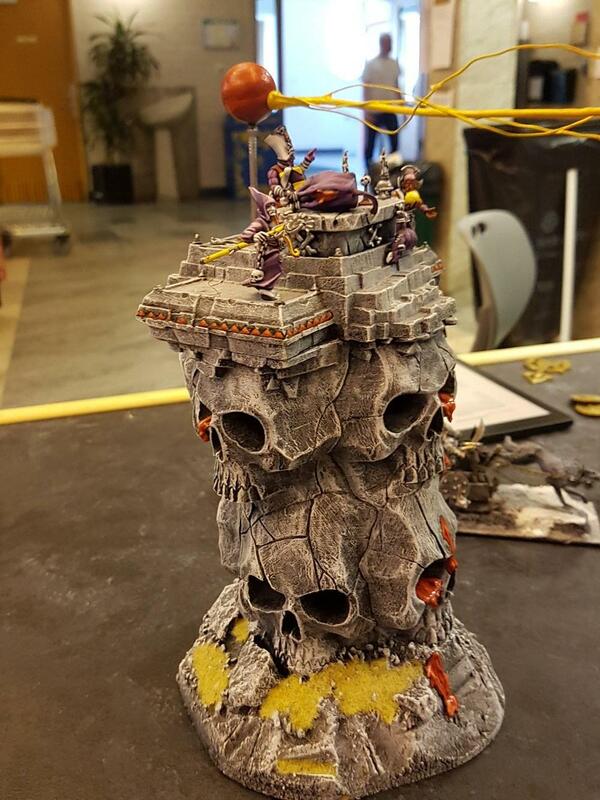 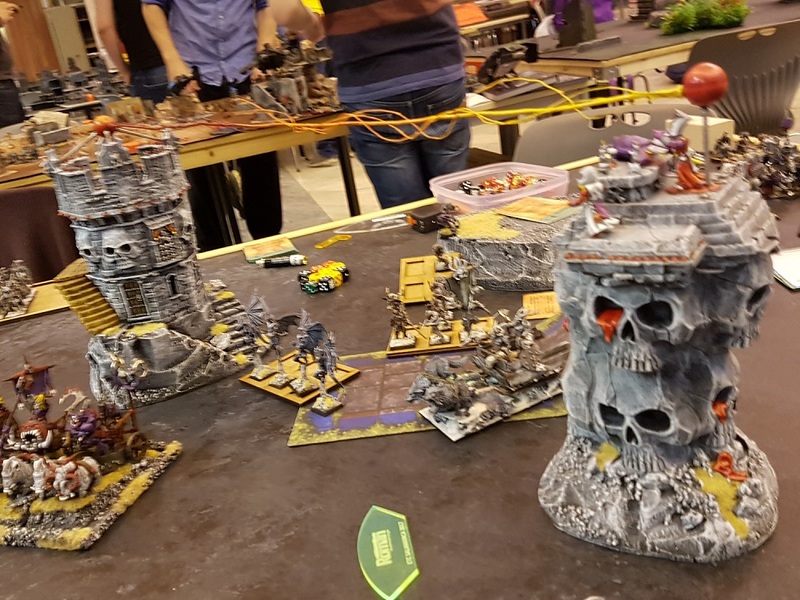 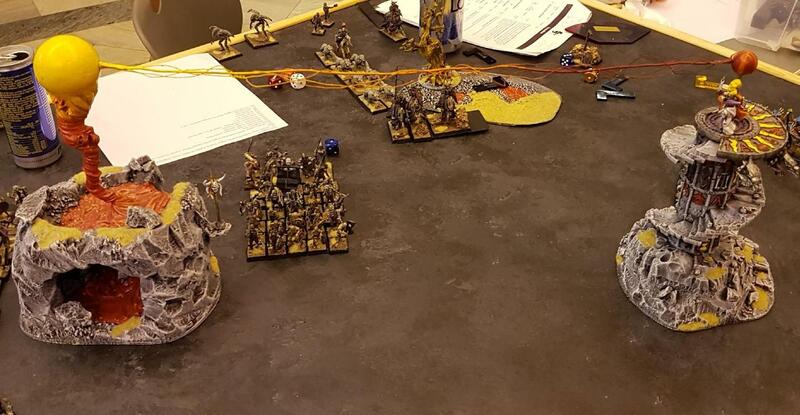 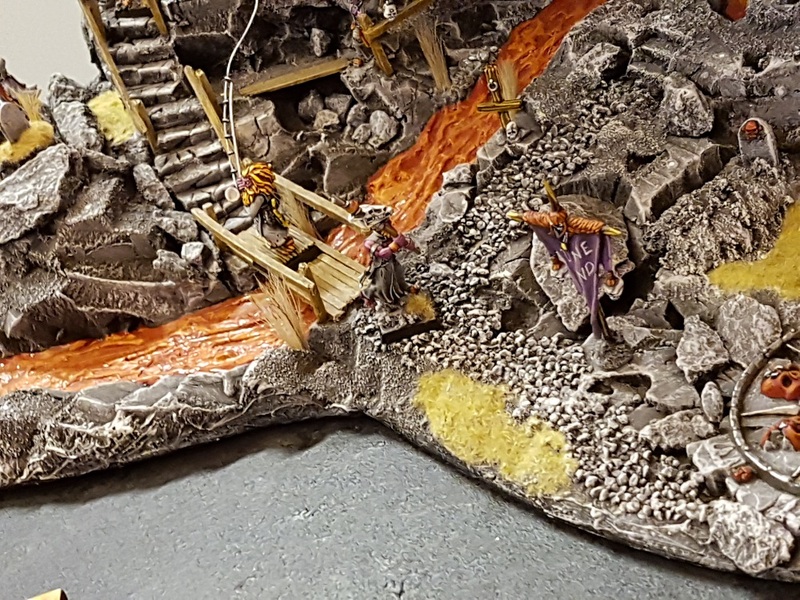 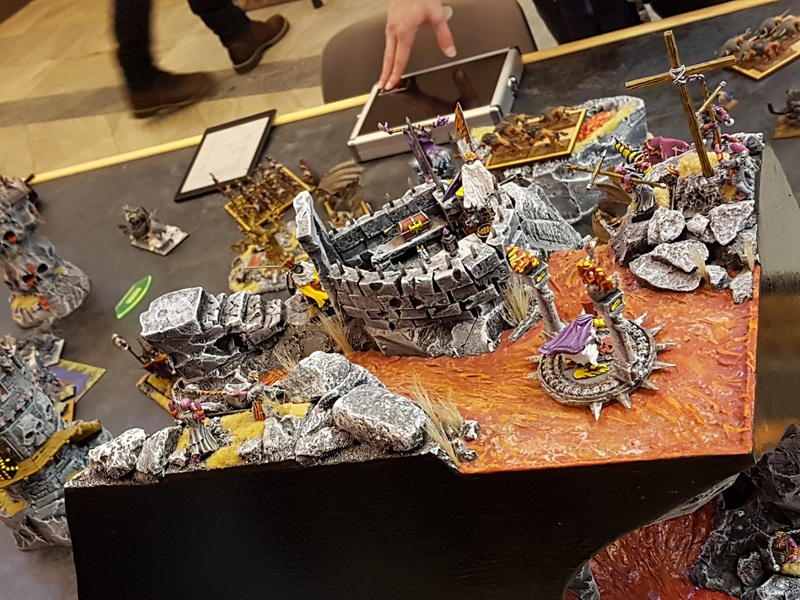 His terrain, lent to a Warhammer club, does stick around to beautify tabletop battles year after year. 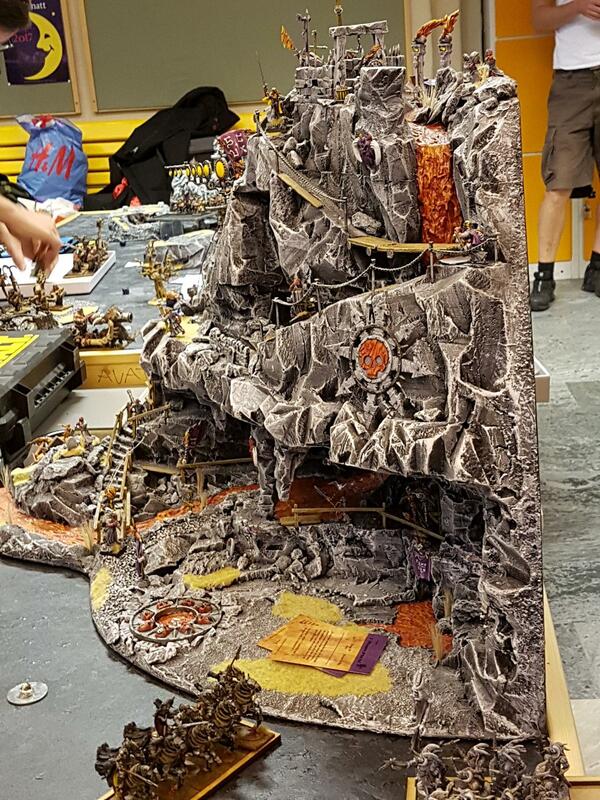 Much of it is magnetized. 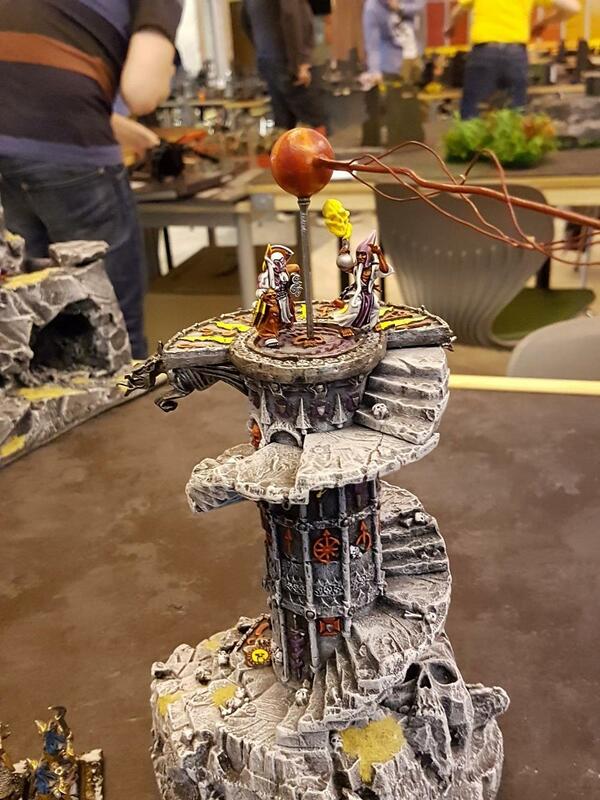 It's so difficult to pick out any piece to be a favourite but if I had to, I guess I would vote for that wonderful tower with the spiral staircase around it - I tried making something like this myself earlier this year and frankly mine looks like crap compared to this.